Here comes a creative freebie of 2 beautiful mockup scenes for hand-sketched artwork presentation. 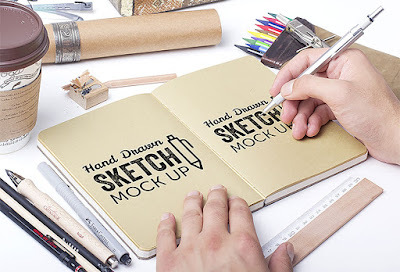 These are high quality photographs provided as freebie to help you save time and show your work in a hand-sketching scene. Hope this will be a great resource for you. This is a featured freebie and is actually released at PixelBuddha.